The deserts of the world range from cold to hot, but are all incredibly dry. They include the Sahara Desert (largest sub-tropical desert), Antarctica, the Arctic, Gobi Desert, Great Victoria Desert, Thar Desert, Gibson Desert, Arabian Desert, Kalahari Desert, Mojave Desert, The Sonoran Desert, Chihuahuan Desert, and the Patagonian Desert to name a few. In aggregate, deserts make up about one-third of the Earth’s land area. Many people think of deserts as dry, sandy, barren regions of the world, and while there is some truth to this idea, it’s also misleading in many ways. There are various deserts around the world, and while some are hot and sandy others can be cold, rocky, and even wooded. Though you may not think it, the biomes and ecosystems that can be found in the world’s deserts can actually be very diverse and home to a wide array of life. A closer examination of the various deserts in the world reveals just how diverse and interesting deserts can really be. Let’s make a quick clarification about the definition of a desert. Deserts can be very diverse because a region needs only one qualification to be considered a desert: it must receive less than 250 millimeters, or ten inches, of rainfall in a year. This means that many different areas of the world technically qualify as a desert. Yet to keep things simple, we’ll limit our exploration of deserts to some of the largest and most famous deserts in the world. The largest deserts in the world are actually the Arctic and Antarctic regions themselves. They are considered polar deserts, and their extreme latitudes place them out of the way of most weather systems, meaning that they receive less than 250 millimeters worth of precipitation a year. The Arctic region consists of portions of Canada, the Nordic Countries, Greenland, and Russia. The Arctic Region is home to animals like arctic foxes, polar bears, caribou, and walruses. The Antarctic region contains the South Pole and the continent of Antarctica. Antarctica’s large size makes it the largest desert in the world at over 14 million square kilometers (or 5,400,000 square miles). Life is rare in Antartica, though present. 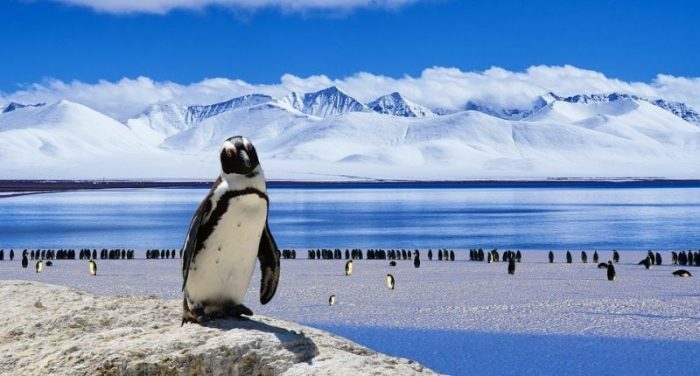 Animals found on the continent include small seabirds, penguins, and seals. After the Arctic and Antarctic deserts, the Sahara desert is the largest desert in the world. The Sahara is found in Northern Africa, making up around a tenth of the continent overall. The famous sand dunes of the Sahara desert only make up about a quarter of the desert region, with much of the rest of the desert being made up of rocky plateaus, desert grasslands, and savannas. The average temperature in the Sahara is only about 29 degrees Celsius (86 degrees Fahrenheit), but it certain areas and times it can get as high as 49 degrees Celsius (120 degrees Fahrenheit). Because the geography of the Sahara desert is actually quite large and diverse, so is the flora and fauna that can be found there. There are reportedly over 2500 species of vascular plants to be found in the Sahara, all having evolved to live on very little water. 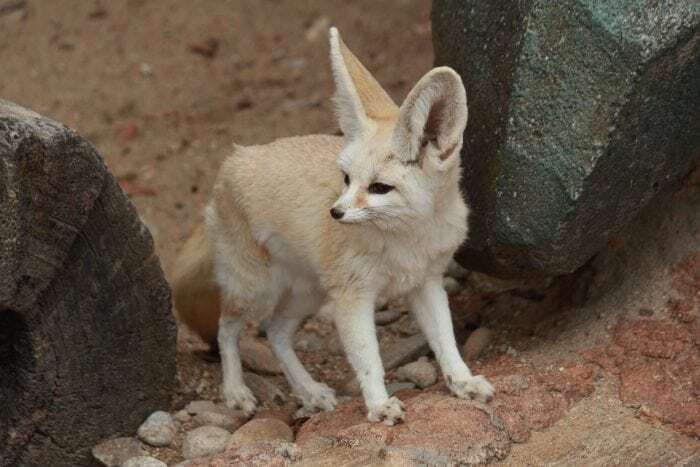 Animals found in the Sahara include fennec foxes, the addax, cheetahs, vipers, hyraxes, and gazelles. The Arabian desert is situated on the Arabian Peninsula, running through countries like Oman, Kuwait, Saudi Arabia, and the United Arab Emirates. 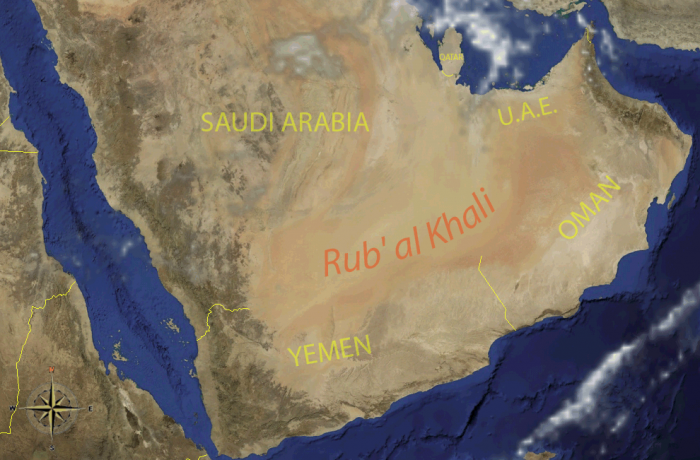 The Arabian desert can be subdivided into smaller deserts such as the Rub’al Khali desert. The majority of the Arabian desert is made out of various regions of rocky hillsides, salt flats, and plateaus, but the Rub’al Khali is the world’s largest uninterrupted region of sand, earning it the moniker “the empty quarter”. 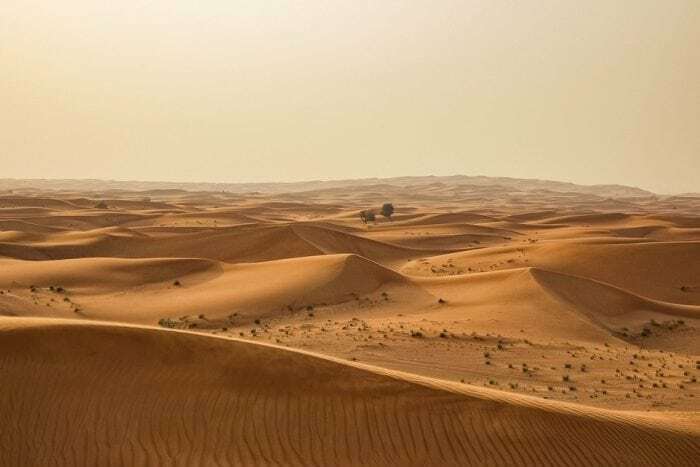 The Arabian desert is approximately 2,300,000 square kilometers wide (900,000 square miles), and the Rub’al Khali alone comprises about 650,000 km2 (250,000 square miles) of it. Plant life in the Arabian desert include things like date palms, saltbush, gaffe trees and acacia. Animal life includes things like gazelles, the Arabian wolf, caracals, a variety of geckos, lizards, and snakes, as well as birds like falcons, vultures, and swallows. 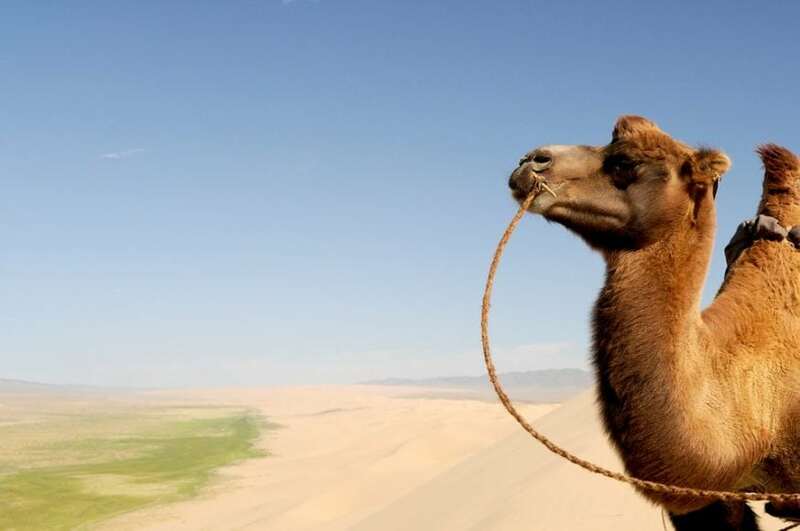 The Gobi desert is Asia’s largest desert. It cuts through southern Mongolia and envelops portions of Northwestern and northern China. The Gobi desert is about 1,300,000 km² wide, or about a half million square miles. The Gobi desert can shift in temperature dramatically, with temperatures as low as -40°C (-40°F) near Siberia in the winter, and areas that heat up to temperatures of around 50°C or 122°F in the summer months. The geography of the Gobi desert is buried, containing sand dunes which can sometimes be covered in frost, desert basins, grassy plains, mountain ranges, and rocky plateaus. 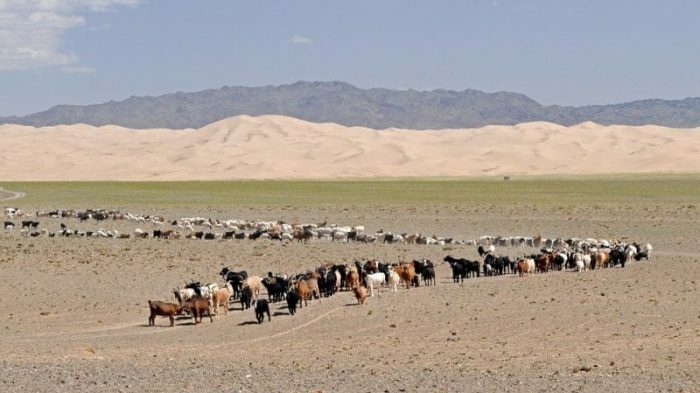 Life in the Gobi desert is similarly varied with many animals and plants dotting the landscape. Bactrian camels, like tailed gazelles, brown bears, snow leopards, various species of lizards, sparrows, and more can all be found in the desert. Scrub brush and shrubs make up much of the landscape. 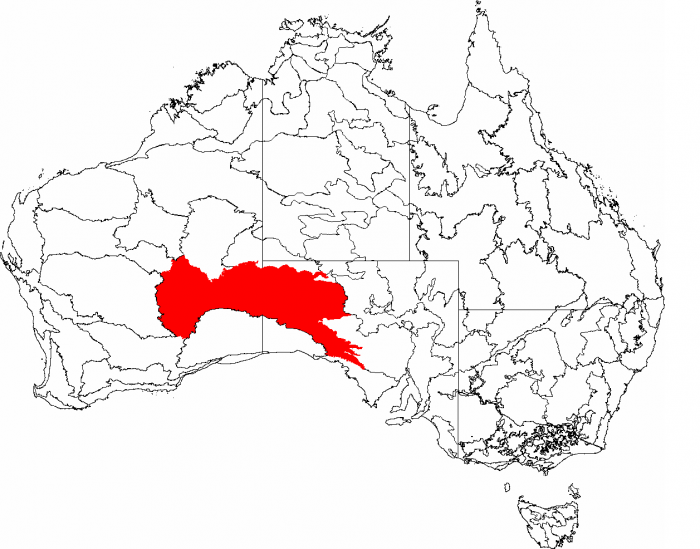 The Great Victorian Desert is the largest and most expansive desert in Australia. The desert is full of small hills of sand, fields of rocks, salt lakes, and grasslands. It’s about 700 km or 430 miles wide east-west. There’s actually quite a bit of vegetation in the Great Victoria desert, unlike many other deserts in the world. Various acacia plants, spinifex grasses, and eucalyptus trees can be found all throughout the desert. Animals like the great desert skink, the southern marsupial mole, various frogs, dingoes, sand goannas, and the chestnut-breasted whiteface bird can all be found in the region. The Patagonian desert is a cold desert found in Argentina. It’s the eighth largest desert in the entire world and is around 675,000 km² or 260,000 mi.² in area. 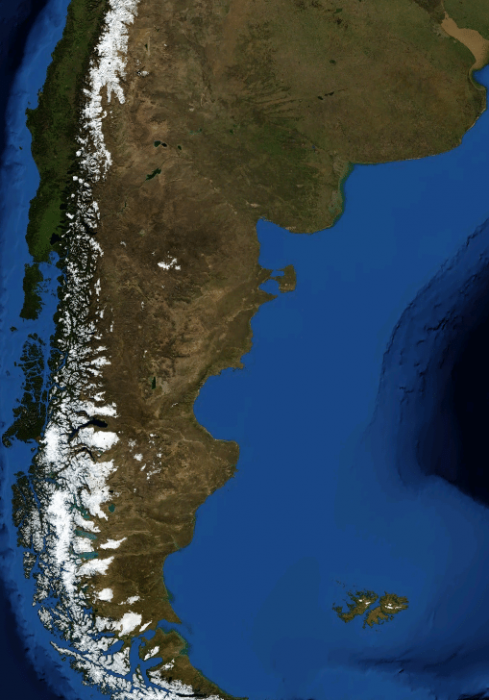 It exists primarily because of the Andes Mountain region to the west, which blocks most precipitation from reaching it. This is called a rain shadow. Temperatures within the desert typically don’t exceed a high of about 12°C or 53.6°F, with the average being 3°C or 37°. The desert is mainly made out of wide stretches of arid flatlands broken up by the occasional River Canyon. There are also steppes created by glaciers carved into small mountain regions and colds temperate forests. Scrub brush and shrubs make up much of the landscape in terms of flora. The fauna that can be found in the desert includes the burrowing owl, the pygmy armadillo, the Patagonian gray fox, Western ribbon snakes, Rheas, pumas and birds of prey like hawks and eagles. 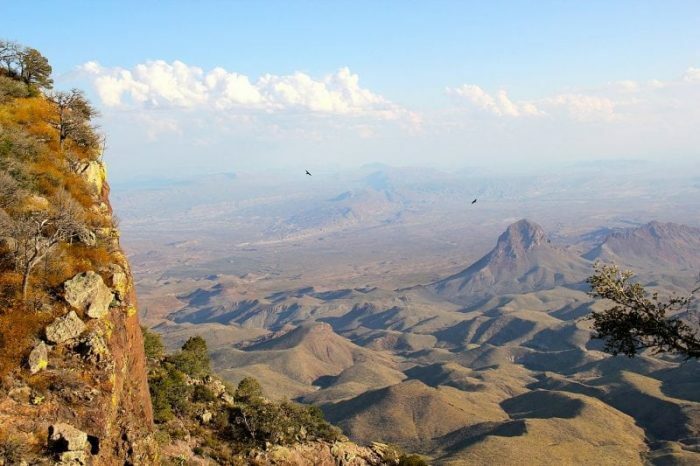 The Chihuahuan desert extends from the southern portions of the US (Arizona, Texas and New Mexico) down into northern Mexico. It runs along the Sierra Madre Occidental mountain range. The mountains near it create a rain shadow that deprives it of much precipitation. It has an area of around 362,00 square kilometers (139,770 square miles). In terms of the region’s geography, small mountain ranges run across it creating desert basins. There are dry grasslands in the basins as well as forested regions. At higher elevations, snow may be found. In terms of the deserts flora and fauna, the desert is extremely diverse, with some estimates calling it the most biologically diverse desert in the entire world. Plants in the Chihuahuan Desert include creosote bush, tarbush, yucca, rainbow cactus, fire-barrel cactus, honey mesquite, agave, and various legumes. 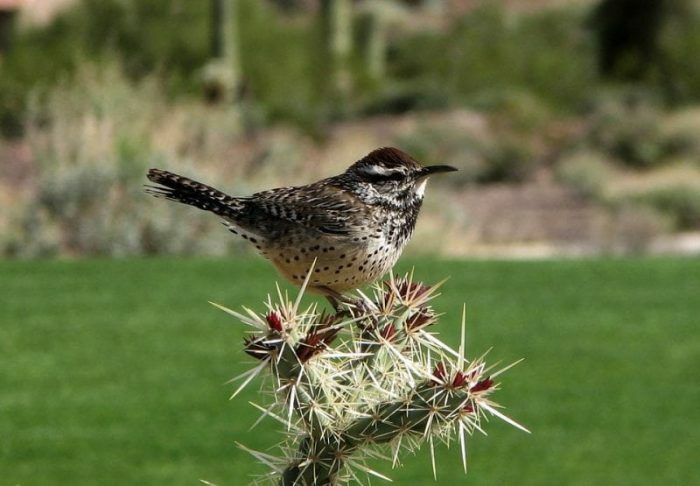 Animals include cactus wren, Gila woodpeckers, diamondback rattlesnakes, Gila monsters, the gray fox, bobcats, ringtail cats, and rock squirrels. There are many other deserts in the world, but that covers some of the largest and most well known. By now you should be able to see that deserts can be quite diverse in their topography and ecosystems, so keep that in mind as you learn about other deserts in the world.